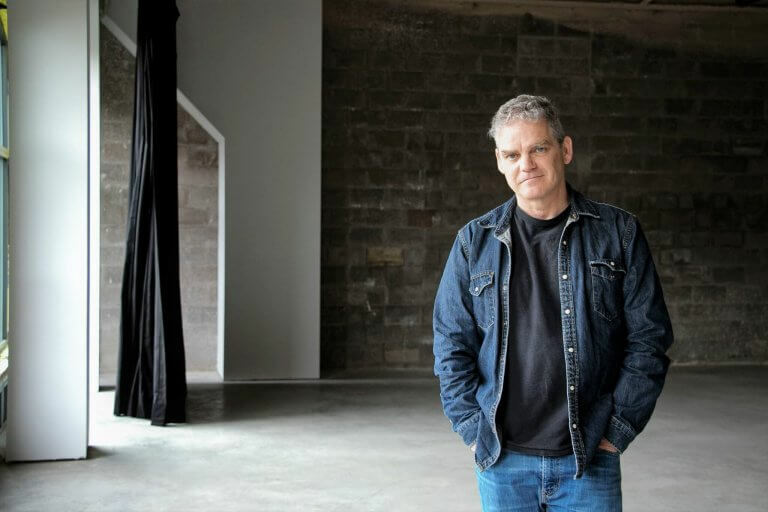 Shawn Wright, one of Canada’s most recognized stage actors, is making his debut at The 2018 Charlottetown Festival with his compelling show, Ghost Light. As both the actor and the author, this is the first play he has written; and it has already won acclaim in both Toronto and New Brunswick. Shawn spent the final months of his mother’s life travelling from Toronto to her nursing home in the Maritimes to spend as much time with her as he could before she passed. During these visits, she would spin stories of her life during the commercial breaks of her favourite TV show, Murder She Wrote. Wright chronicled these stories and developed a hilarious and poignant story about the relationship between mother and son, growing up in New Brunswick the youngest of seven children, and, most importantly, as a tribute to his mother for giving him his love of life. Wright plays every character in the play, including his mother during different stages of her life. A blessed cross necklace given to him by her to wear on stage never leaves his neck. It’s that connection that has made Ghost Light so successful when Wright performed in in New Brunswick and Toronto last year to sold-out crowds. He says people would line up after the show to talk to him and share similar stories of caring for their aging parents. A “ghost light” is a theatrical term referring to an electric light that is left energized on stage when the theatre is unoccupied and would otherwise be completely dark. Aside from its obvious practical purpose, there are superstitions associated with it, as well. The light is meant to provide a warm welcome to the ghosts of the theatre to congregate on stage all night and recreate the best performances they played in life. Shawn Wright is one of Canada’s busiest actors, often appearing at both the Shaw Festival and the Stratford Shakespeare Festival. Ghost Light is presented in partnership with Theatre New Brunswick. The published version had a book launch in Toronto this month.